Business case studies have a huge impact on marketing. They help in establishing your brand as an authority by demonstrating how your product or service solved a certain problem for a customer. Business case study writing helps leads to see how the can experience the same success with your products or services. As such, you must understand the right components of a case study that can win you leads and convert them into lasting customers. The question here should be, why is understanding business case study components crucial? You position your service as the best solution to a specific problem. There is a lot of debate about whether the content should directly sell the product or not and in this case, it should. Back your claims with results because there are no debates when you have evidence in a real-life scenario. Not everyone can write a case study, which makes it harder for one for anyone to duplicate a customer story. With business case study components, you have to take time to put them together. It is easy to streamline this process if you can do effective research, follow the steps of putting together components of a case study,and then using numerous examples in your work. This document is published by neither an organization nor a company outlining their success or effectiveness in servicing their clients. The document is used to market the services or products of a company and can be very useful especially when the company is targeting prospective clients to make them understand how the company has excelled in the past. Almost every company nowadays is using a business case study. If you understand the components of a case study, you will help the company in illustrating in the best way possible about their product or services to new customers. Like any other type of writing, a business case study has an introduction, the body, and the conclusion that has a conflict and resolution. With case study wring, you have an effective way of making seemingly complex products real and help a lot in improving the perception of the consumers towards it. Not only does the understanding of components of a case study becomes important, but in writing a case study, you provide a peer-to-peer influence that offers the perspective of a customer instead of a company. Companies are the ones that publish case studies, but the intention is to recount the experience of different customers. You can use direct quotes statistics and so on. These are essential aspects that would be clients to see the value in a company or an organization. Through the components of a case study, you have critical customer reviews, which indicate real-life conversion rate. The provision of these examples of how your product is working coupled with excellent customer reviews can help in building the trust and confidence in your company. This can make prospective customers convert. When writing a case study, a company must seek the permission of the client to use their data. When you include your customer in your case study, it leads to some form of product or service evangelism that boosts the company’s visibility. This improves the rates of conversion greatly. A significant challenge – this can be a tight deadline, a complicated issue, low sales volume or the need for new software integration. A satisfying solution – if you want your case study writing to fall into the story telling realm, you must provide customers with a lasting solution, and one they can relate with too. A series of significant benefits – one of the components of a case study is the benefit that the customer is bound to experience. You should feature several benefits in your business, case study writing that customers can relate with deeply. They should be more compelling especially if you have solid statistics to make your case study as believable as possible. This depends on your brand and the contents of your business case study. As such, you can write it in the first or third person. Either of these approaches works and most case studies have used a mixture of both. However, if you are using both of these approaches in your business case study writing, ensure that you enhance the thirds person parts using direct quotes from a client to avoid a situation where the tired person becomes overly narrated. One of the components of a case study is an effective title. It has to be attention-grabbing as much as possible. You can include strong action verbs or percentages. Remember that since titles are crucial components of a case study, they ought to be as accurate as possible. Some people think that writing a case study involves using jargons and corporate language into the paper. This is not the case and you ought to use the simplest business language instead of complicating everything. The more you use simple language, the easier it is to understand your case study. You do not want to write something that the customer will not understand because it will not help in converting them. Make your case study writingmore natural and approachable because it allows potential customers to approach it without feeling intimidated by an overly complicated case study language. Adding real numbers when writing a case study grab the attention of the audience. You can follow the KISS metrics lead and include real numbers in this document. Numbers add the required oomph and make your case study more appealing to the prospective customers. One of the crucial business case study components is the data. You do not leave out any data whenwriting a case study. 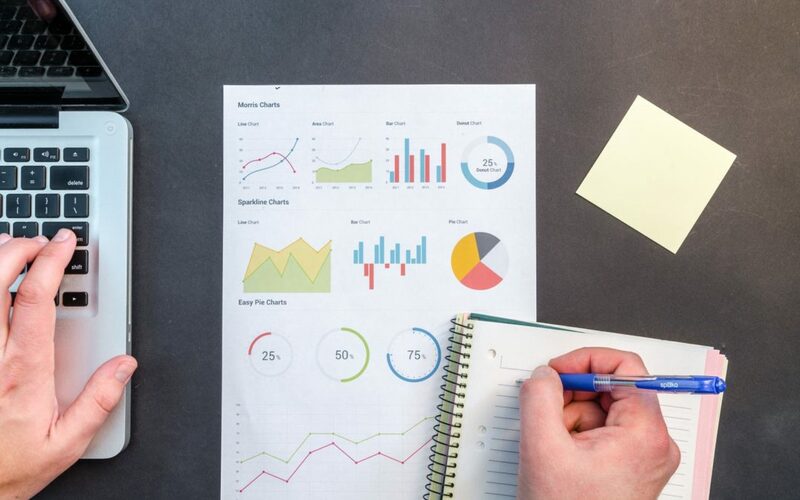 The data that you put must be accurate and chronological to help in fleshing out the entiresituation that surroundsyour interaction with a prospective client. You have to let the readers understand your impact more effectively,and numbers can help you with that. Case studies are partly meant for the press, and as such, you have to include relevant contact information. This allows other companies, customers and so on to contact you about the case study. This helps in making the information more accessible to anyone. Thereare different standards of the information you should include in your case study. Most of the time, your phone number is the best-placed contact information that you can use, email, website and one or two social profiles that include a short bio. This is enough information for the interested parties to reach you and boosts the ROI of your case study. Every good case study must have a great design. As such, you can hire a designer to add some visual interests in your case study writing. He can use text boxes for key facts, statistics, quotes, putting related graphics and charts and so on, can make a difference in your case study. It should be used liberally to enhance the interest and value of the case study. The final step in the case study writing process is publishing it. If you want to make the most out of it, you can publish it in the places where your real audience or prospective customers frequent. It can be on your blog, reaching out to relevant circulating platforms, or gating the case study and using it to increase email sign-ups for your company. You can also break your case study to appeal to different learners through unexpected formats like YouTube video, podcast or an infographic. Case studies address real-life problems. However, if you use a single case study to deal with multiple problems may not have the right impact. Do not use a one-size-fits-all perspective in developing a business case study. The best approach to writing a case study would be to select a core problem that is relevant to the industry, segment, and the audience. You can achieve this by conducting a thorough audience analysis as part of your research. Ask questions that put clarity on whether the report fits technical personnel, management, or mixed audience. Use this knowledge to focus on the bigger problem and describe their frustrations and threats associated with an inadequate solution to the problem. Subsequently, define the purpose of your case study and stick to it. When writing a case study, the solution section ought to build on the case for a sponsor’s product or service. Do not entirely focus on sponsoring the company’s solution. Instead, use a balanced approach that includes other solution options that are available in the industry. Highlight how they may be deficient in dealing with the problems of the audience. It provides a backdrop to introduce the superiority of the sponsor’s solution and ensures transparency and credibility of the sponsoring company. In business case study writing, describe the lessons learned and the achievements in the process of implementing the product. This creates trust by the sponsoring company. When writing your case study, use a persuasive way to present the benefits and include the performance indicators like saving cost and time, ROI, productivity gains, loss prevention, reducing non-compliance risk, revenue growth indicators and so on. This is the last among the components of a case study, which ought to be effective. In other words, let the audience what’s in it for them. Make them see the benefits of using your products or services,and it will lead to the conversion rate that you desire. Writing a winning case study is a crucial process. Ensure you have included the core problem, the solutions, and results and use the appropriate tone. Your answers must quench your prospective client’s thirst for solutions persuasively. This is important in achieving the marketing objective, which is why case study writing was ordered in the first place. The information you provide is crucial for your case study success.